We Be Reading: "It was a hot, peaceful, optimistic sort of day in September." "It was a hot, peaceful, optimistic sort of day in September." 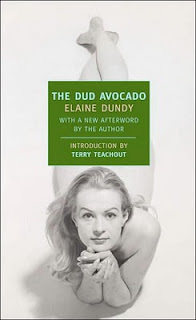 I had heard nothing but good things about Elaine Dundy's The Dud Avocado so, even though I still had no idea what the title meant, I decided to make it one of my last reads of 2010. Now I know what the title means but I'm not so sure about the novel itself. This is the story of a young woman in the 1950s who has escaped her dull American life with a two-year fully-financed jaunt in Paris, courtesy of a rich uncle. She does a little bit of acting but mostly a lot of nothing. I hate to say it but everything from the lead character's name (Sally Jay Gorce) to her impulsive escape to the French Riviera bothered me. Although I had heard repeatedly how funny this novel was, I can't remember laughing or even smiling a single time. Sally Jay was not a malicious or stupid character and I didn't actually dislike her but I didn't really care what happened to her either. When she got into hairy situations, I felt she never got more than she deserved. 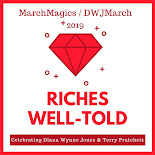 If you've read this book, can you tell me if I missed something? Did I read it at the wrong time? Or was it just not for me? I know I have a sense of humor but maybe not when it comes to lazy youths who feel entitled to have fun on someone else's dime. 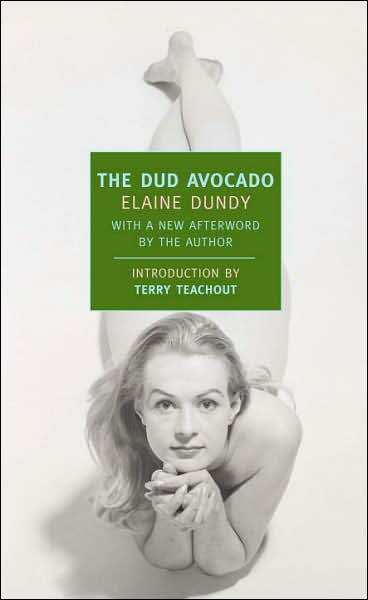 Support our site and buy The Dud Avocado (New York Review Books Classics) on Amazon or find it at your local library. We bought our own copy of this novel. I'm still going to have to give this one a read though. I've read so many stories of the male "find yourself on someone else's dime" jaunt and loved them when I was younger - that I think the female version would be fun. (I also don't think I'm capable of saying "no" to an NYRB book). The Dud Avocado reminded me of a writer I love a lot better, so I think that played a factor in my enjoyment of it. If it had reminded me more strongly of, say, Ernest Hemingway, my reaction would have been much more negative. Lena - I can see why so many people loved this one but it just rubbed me the wrong way. I would love to hear what you think of it!